Whether you have been apart a few days or a few weeks, no doubt you will be super excited to get your pet home after you have been separated. Nevertheless, you may find that there are a few things about your pet that seem different to before. Unsurprisingly, this may cause you some concern. However, there is very rarely anything to worry about. Most of the changes that you will see in your pet are fairly common and will resolve themselves very quickly. To help you feel prepared and know what to expect, here are a few of the most common issues your pet might experience after she returns from a staying in a boarding facility in Richmond, VA.
My pet is eating everything offered and seems permanently hungry – did she get fed enough when she was in boarding? Many pets return home from boarding with a ferocious appetite, and owners are understandably concerned that their pet may have not been fed enough while away boarding. Rest assured that your pet will have been fed the food that you agreed with your boarding service ahead of her stay. However, the new environment means that many animals simply won’t eat as much as they might at home. As a result, they decide to eat a fair bit more during the first few days after returning back into your care! My pet seems more tired than usual since she came home from boarding, is she sick? Temporary changes in behavior are to be expected after a stay in boarding as much like returning home from a human vacation, it can take a few days for your pet to adjust. Most animal boarding services strive to provide plenty of fresh air, exercise and mental stimulation for your pet while she is in their care. This helps to keep her healthy and balance her moods. Often, going from such a busy, high-energy environment to a quiet home can mean that she chooses to rest more than usual. Since all pet owners are required to show up to date proof of vaccinations and other preventative care, it is highly unlikely that your pet has become unwell. Of course, you know her better than anyone else so if she has any symptoms that might suggest she is unwell, don’t hesitate to make an appointment with your veterinarian in Richmond, VA.
My pet has had loose bowels since coming home? Why? Your pet is going to be more excited about coming home than you can probably comprehend. Unfortunately, this feeling of excitement can cause a condition known as colitis, one of the effects of which is loose bowel movements. It is highly unlikely that your pet has caught any sort of stomach virus. You will have undoubtedly checked the cleanliness of your boarding service premises out when you went to visit and know that any good boarding service takes the hygiene of its facility extremely seriously to help ensure that all animals are in the best possible health. However, if your pet’s loose bowels continue beyond 24 hours, do get in touch with your veterinarian. My pet is being very clingy, is this normal? Many owners find that their pet becomes quite clingy and more demanding of attention that normal after a stay in a boarding facility. Again, this is a very common reaction as your furbaby will be delighted to see you and will want to spend as much time with you as possible. Not all pets become clingy, but if yours does it is usually not anything to worry about. Try and re-establish your usual rules and routines from the outset to help your pet settle back in. If you are concerned, speak to your vet in Richmond, VA at Betty Baugh’s Animal Clinic. 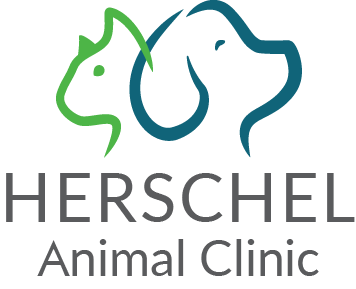 If your pet has recently returned from boarding and have you any issues about her health or wellbeing, our friendly and reassuring veterinary team would be happy to assess her. Please contact our vets in Richmond, VA today at 804-331-2880 to schedule an appointment.